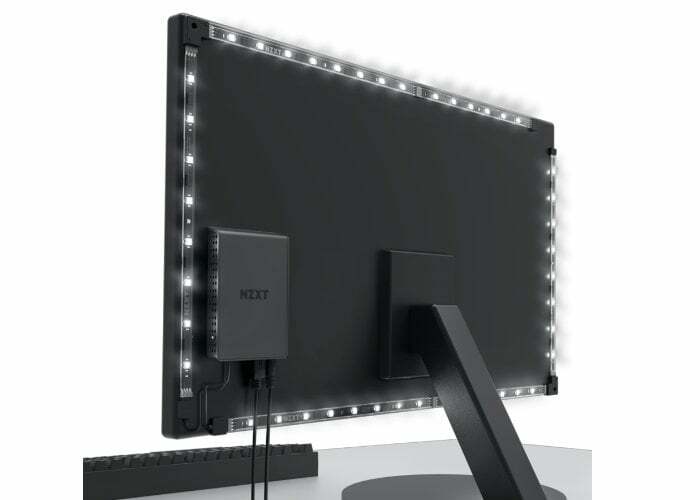 NZXT has released a new lighting kit in the form of the HUE 2 which provides everything you need to add ambient lighting to the back of your computer monitor. 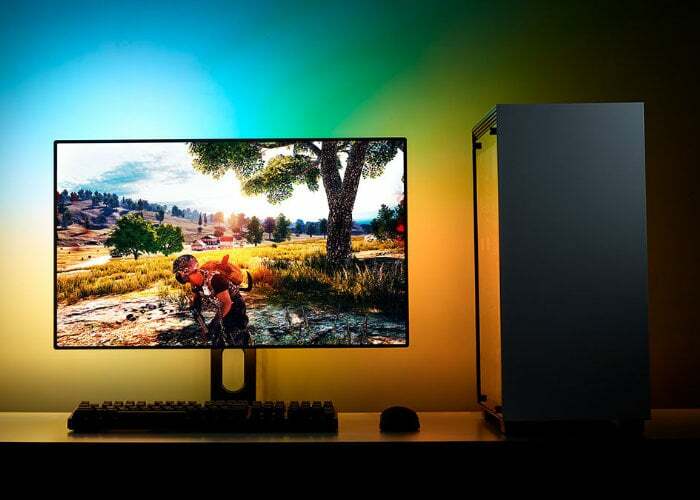 Available in two configurations, one for 21″ to 25″/34″-35″ UltraWide monitors and one for 26″ to 32″ monitors, the HUE 2 RGB Ambient Lighting Kit adds lighting to your gaming PC for a more immersive in-game experience by projecting the colours from the edges of your display to your walls, as in the image above. Both the HUE 2 Ambient RGB Lighting Kit V2 (21″-25″, 34″-35″ UltraWide) and HUE 2 Ambient RGB Lighting Kit V2 (26″-32″) are both priced at $99.99 and are now available to purchase throughout the United States and will be arriving in Europe and the rest of the world on April 12th, 2009. – Stronger Adhesive: Upgraded the 3M LED strip adhesive backing tape to be thicker and stickier. It is more compatible with the different surfaces and textures of monitors on the market. – L-Shape Corner Connector: For easier setup, we replaced the 150mm corner connectors to an L-shape corner connector for the top left and bottom right of your monitor. – Alcohol Wipes: As your monitor may be dusty or dirty, we added alcohol-based cleaning wipes so you can clean the back of the monitor before adhering the LED strips.